Applicants MUST live within Ikeja or close to Ikeja. If your CV states otherwise, your application will be disregarded. Applicants MUST live within Lekki Phase 1, Osapa London, Ajah, VGC or close to these locations. Urgently Needed: Graduate Trainee Veterinary Doctor needed at Kennel Pride Nigeria, Lagos Office. Hausa, Igbo, Yoruba and English. CV’s to: jobs@lorachegroup.com with the position applied for as the subject of the mail. Application Deadline 28th May, 2018. Bridge Credit is hiring marketers for its loan products in Lagos. The Applicant MUST have prior experience in a Hotel. We are looking to recruit an experienced Client Relations Executive. If you believe you have the required skills and experience please apply for the job. Interested and qualified candidates should send their CV’s to: careers@ellaecreative.com Application Deadline 27th May, 2018. Looking for a plant manager for a snack foods company in Lagos, Nigeria. Must have experience and strong knowledge of extruded snacks production, quality and plant maintenance,with 6-8 years experience. Urgently need a smart and good looking female between the age of 20 - 24 for the post of a receptionist here in Marina Lagos. OND minimum and pay is 50K. To coordinate & maintain an effective and efficient Human Resources and Administration Department as a service provider to other departments in the Company. To ensure a business partnership that attracts, motivates and retains fitting employees for the Company project. Must have experience and strong knowledge of extruded snacks production, quality and plant maintenance,with 6-8 years experience. A Bachelor/Master's degree in Business, Engineering, Economics or an Applied science, HND or degree in Supply chain Management, Logistics • Minimum of 4-7years experience in a similar position, preferably in an Oil and Gas Service Company. • Professional qualification through the Chartered Institute of Purchasing and Supply (CIPS) will be an added advantage. Applicants should forward their CV to recruitment.ael@outlook.com. Application closes on the 28th May 2018. Filmo Facilities Management Limited,Abuja branch, seek to employ qualified technicians (Plumbers,HVAC technician,Electrician) with a minimum of 1 year working experience. Interested candidates should send CV to careers@filmo-group.com with the role as the subject title of the mail. Candidates are expected to be based in Abuja .Interviews will be conducted second week in June 2018.Only qualified candidates will be contacted. A digital marketer needed at a media firm in Anthony. Applicant must have at least 2 years experience in the required field. 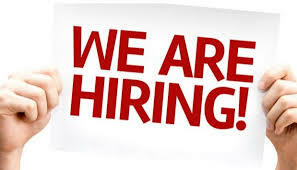 A Singapore based company require a Female candidate of Social media for our Lagos office. B.sc/HND/PGD. Years of experience: 4 years minimum in Marketing and Sales. Send CV for a chat to : recruitment@spcpatternsconsulting.com before May 29, 2018 with Job role as mail subject. * Responsible for outdoor services. * Management of customers complaints. * Compile and advise the management on Customers complaints. * Maintain strong Customer relationship. * Servicing customers and bringing new ones. * Good administrative skills. * Articulate and innovative. * Excellent verbal and writing communication. · FMCG experience are an added advantage Knowledge of MS Excel (functions and formulas) is mandatory. • Visit minimum 10 customers a day • Generate minimum 2 leads per day • Generate a monthly business volume of 200 batteries and 30 inverters • Achieve agreed upon sales targets and outcomes within schedule • Generating leads from Insurance, Oil and Gas, Healthcare, F&B and Industrial companies • Reach out to customer leads through cold calling • Assist in organizing customer meets, exhibitions etc. • Submission of proposal • Presentations to customers • Establish, develop and maintain positive business and customer relationships • Supply management with interests, competitive activities, and potential for new products and services • Arrange product displays at corporate organizations • Maintain and file all sales related data and documents • Coordinate with Finance, Service, Logistics and warehouse in installation and timely invoicing process • Assist in the preparation of customer visit reports. role as the subject of the mail. Spytrac Telematics Services Limited, a tech-security company located here in opebi Lagos is currently recruiting young skillful individuals with an "I can do personality' to joint its Sales and Digital department. 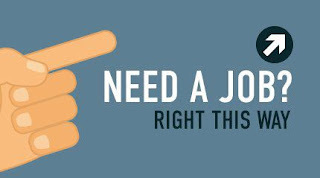 We accept CVs from any discipline, and persons with no experience, but our focus are on persons with sales and presentation skills, creative and innovative skills, goal oriented mindset, intelligent and with a background knowledge on technology software or hardware. • Minimum qualification is B.Sc/HND in a related course, while membership of a relevant professional body (CIPM/ICAN or both) is an added advantage. Do you have a strong B2B Sales experience of 3+ years, a good network in the manufacturing, construction and similar sectors, and have the capacity to sell industrial footwear to them?, then this opportunity is for you. Send your CV to - recruitment@alpharetta-ogs.com. Kindly indicate the position of interest in the title of your email.